The Warbirds Narrated Tram Tour. Discover and explore over 1,000 jets, fighters, bombers, trainers and other historic aircraft in Warbirds Alley. Every day of the show at 9:00 a.m., enjoy a narrated tram tour of the display, then stick around to listen to the Warbirds in Review presentations held Monday through Saturday at 10 a.m. and 1 p.m. Hosted by the EAA Warbirds of America, these talks feature in-depth discussions of aircraft restoration and operation as well as stories from veterans about what it was like to fly these incredible pieces of history. High-Flying Performers. Oshkosh is the place to be to see skilled aerobatic performers flying high-powered aircraft. Many of these ace pilots are flying aircraft sporting Hartzell props. This is a great opportunity to see cutting-edge Hartzell props in action. AcroSport Build: Have you always wanted to build your own aircraft but weren’t sure where to start? On July 25th, from 8 a.m. to 5 p.m. you can watch EAA volunteers put together an AcroSport Aircraft, as well as other types of aircraft, in the AeroPlane Workshop. You can even volunteer to participate and get some hands-on time with one of the builds, starting with the fuselage and empennage. Trailblazer Displays. 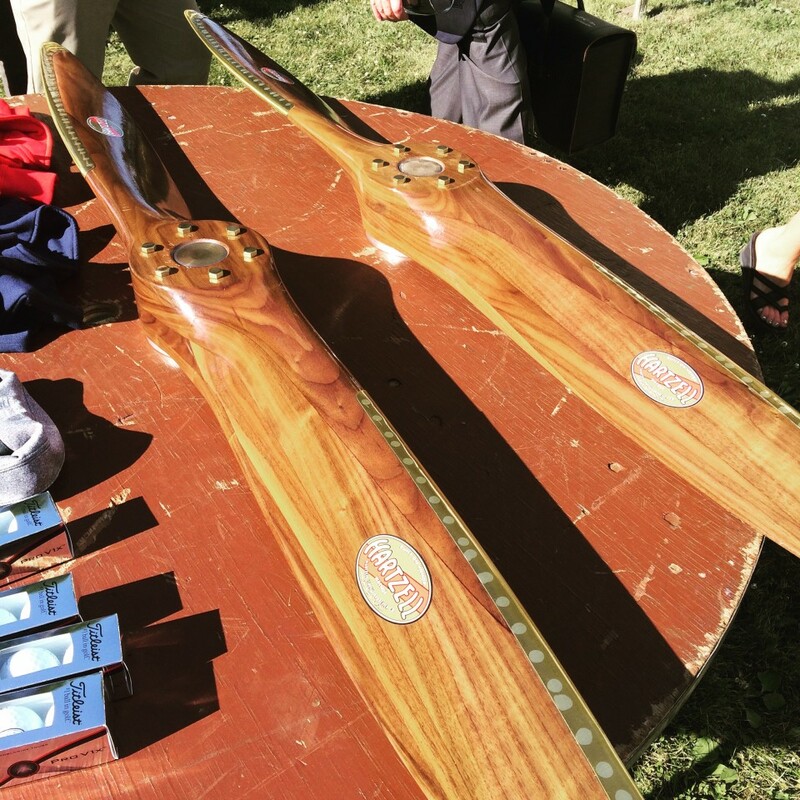 Our friends at the Wipaire, Glasair, and Cubcrafters booths will be standing by all week to give you up close and personal views of the Hartzell Trailblazer prop. If you’re interested in backcountry flying, this is a must-see. Improving flight deck operations. There are dozens of demonstrations at Oshkosh about how to integrate consumer tech into your flight deck operations. Products like the iPad and Garmin have replaced paper charts, but did you know the iPad can also help you do a whole lot more? On July 25th, from 1-2:15 p.m., pilot Charles Schnieder presents the “iPad Use by Phase of Flight” workshop, featuring real-world scenarios and a practical test standard for measuring and mastering the use of the iPad on the flight deck. Newly Certified Piper M600. Check out the newly certified Piper M600 in the Piper display area, which features a four-blade constant speed reversible Hartzell propeller. B-17 Flights. If you ever dreamed of going up in a historic aircraft, this is your chance. Daily flight times are: 9:00 – 9:45 – 10:30 – 11:15 – 1:00 – 1:45 – 2:30 – 3:15, and tickets are issued in sequential order, so get there early to reserve your spot. At $409-$475, the tickets don’t come cheap, but this is definitely going to be a once-in-a-lifetime experience. Get your tickets at the EAA Welcome Center or Main Gate Kiosk during the show.